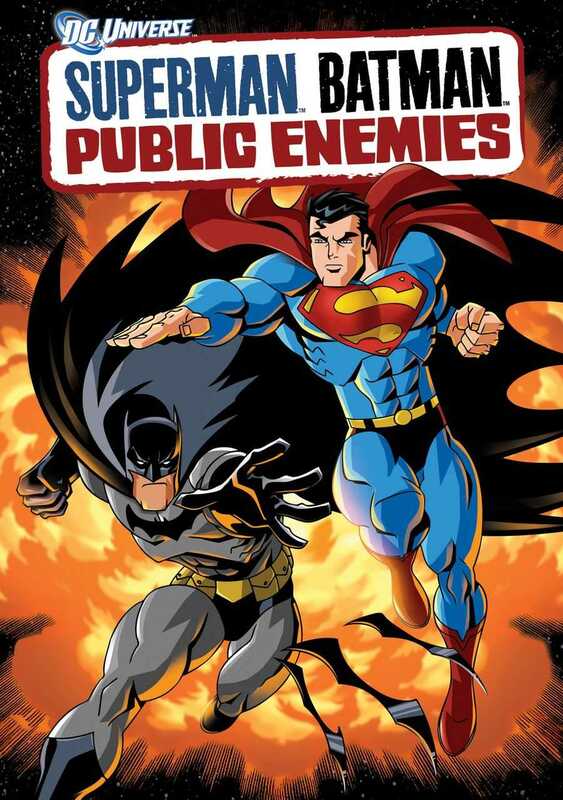 Sixth in line of the DC Animated Original Movies, Superman/Batman: Public Enemies is an absolute treat. From the animations to the plot, the dialogue to the voice-acting, the action to the deeper themes, Public Enemies is not something you would want to miss, trust me. Put simply, the plot of the movie starts off with America in an economic slump and Lex Luthor being elected president. One of his first actions in office is to bring together a team of superheroes who serve the American people and are not simple vigilantes. Power Girl is one of the main members of this new un-named team. Fast forward to a few months of the new presidency and a Kryptonite meteor is hurtling towards Earth and President Luthor intends to stop it at all costs. He even attempts to enlist Superman on his side but things don’t go as expected and from this point on, the film goes from strength to strength as two of the greatest DC superheroes team up to save the world. One of the only real, valid criticisms I can point at this film are that while Clancy Brown has been cast excellently as our favourite villain of all time, Lex Luthor, the animators chose a somewhat inappropriate visual representation for him. The voice-acting just does not match with what you would expect Lex to sound like. The more astute film buffs will recognize that Clancy Brown has done some excellent roles like Sergeant Zim in Starship Troopers or The Shawshank Redemption or Highlander or even that he has been the voice of Lex for over 12 years. The man was perfect on the two Justice League animated series and the Batman animated series. A shame that the same visual model of Lex was not used for this movie, as both the model from the three shows and Clancy Brown just go so well together. My other main criticism is that Power Girl (one of the versions of Supergirl for those not in the know) is far too obviously feminine in the film, in terms of her model. Now, I know that that is how the character has been portrayed since forever, and that Public Enemies is quite a serious film, I still think they should have just gone with plain old Supergirl. I am a far bigger fan of Supergirl than I am of Power Girl. Plus, her eyes are far too large, they are kind of like giant almonds, which is the first thing I thought of when I saw her first on Public Enemies. It just doesn’t go well with the rest of the models in the film, who are all normal. Well except Amanda Waller of course. Her model is just, sorry to say, fugly. However, my Smallville favourite, Allison Mack or Chloe Sullivan as she is known on the show, is the voice of Power Girl. That’s a plus in my book. All that aside, there are a decent number of unexpected plot twists in the film, and they keep you on your toes. At no point in the film do you ever want to just shut it off and walk away. Aside from the two things above, everything has been handled quite professionally and expertly. 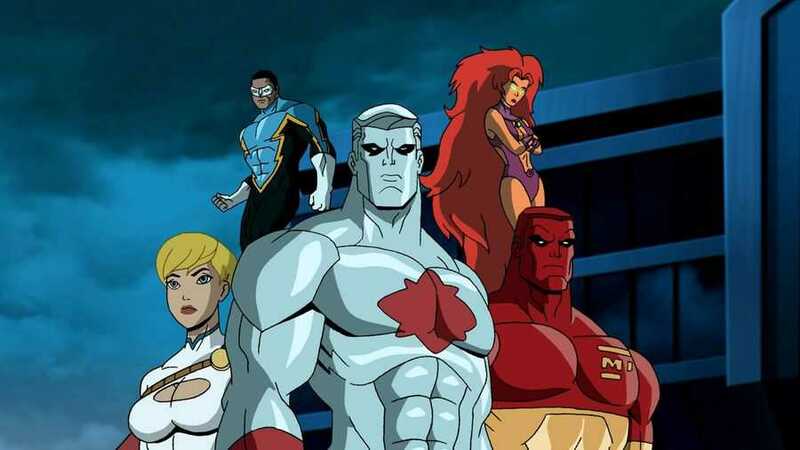 We get to meet other superheroes like Captain Atom, Hawkman, Captain Marvel and even villains like Grod, Grundy, Banshee, and an entire host of others in succession. The fight scenes are just epic, with some expected clashes between certain characters and some unexpected. But there are sacrifices made in every single fight scene. And these are not just random sacrifices, they are emotional ones, based on logical choices that truly do affect the script. Simply put, there is never a dull moment in the film. Almost all the time that our two titular heroes are about to save the world, something happens and things get muddy. Which is a good thing of course. That is the type of movies I like. Saving the world is just not so simple as getting from point A to point B and punching a few things. And while some stories are indeed meant to end, some are meant to go on forever. And the friendship of Superman and Batman is one of those stories. Posted on February 4, 2014, in Movie Reviews, Review Central and tagged Alan Burnett, Allison Mack, Animated Movie, Batman, Bruce Timm, C. C. H. Pounder, Captain Atom, Captain Marvel, Clancy Brown, Corey Burton, DC Animated, DC Animated Universe Spotlight, DCAU, DCAU Spotlight, Film, John C. McGinley, Kevin Conroy, Lex Luthor, Major Force, Movie, Movie Reviews, Power Girl, Review, Review Central, Ricardo Chavira, Sam Liu, Science Fiction, Supergirl, Superheroes, Superman, Superman/Batman: Public Enemies, Supervillains, Tim Daly, Urban SF, Xander Berkeley. Bookmark the permalink. Leave a comment.